A new study has found that ants have a fine sense of smell which allows them to identity fellow nest-mates from intruders. A team of researchers from the University of California Riverside inform that each ant has its own unique, subtle aroma that makes it easy for other members of the species to recognize it. This aroma is given to them by a mix of chemicals known as pheromones, and provides fellow ants with clues as to how they should behave. This feature allows the species to maintain a complex social order with colonies where each queen, worker, nurse and soldier has a very specific role and they all manage to communicate with one another without making a sound. But it also helps them recognize “their own people” and distinguish them from members of other colonies. How you may ask? 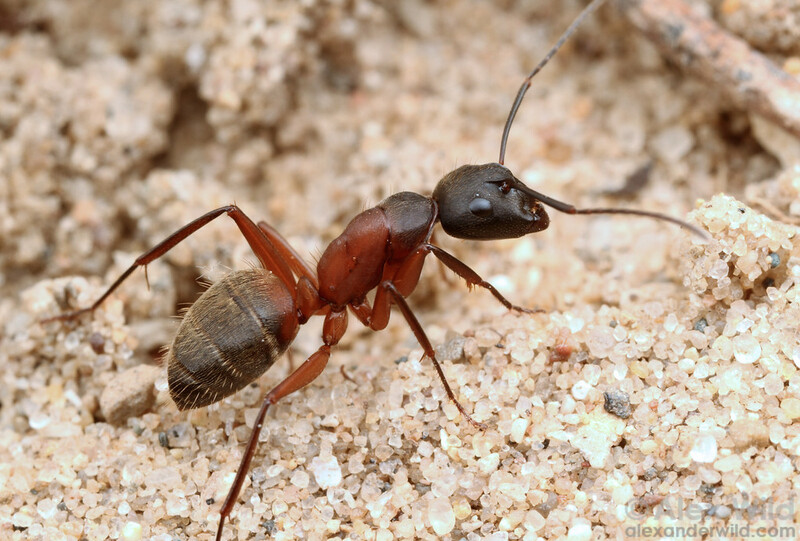 By using their highly sensitive antennae (not noses) to identify another ant’s aroma. It’s a so-called “language of chemicals”. Anandasankar Ray, study leader and entomologist from the University of California Riverside, gave a statement explaining that he and his team are trying to decipher this language that the ants “use to organize themselves into societies”. For their study, Ray and his took some Florida Carpenter Ants and put them on glass slides to look at them under a microscope. They zoomed in on their antennae 1.000 times, and saw that they were covered in hundreds of small hairs equipped with sensors. They then took a really, really thin glass electrode and inserted it into a single hair so that they could record any biochemical activity that the ants’ antennae may be hosting. This allowed the researchers to pinpoint the very chemicals that ants smell on their queen, their workers, their nurses, their soldiers, and on intruders. The discovery was a surprising one as even Ray was amazed by it. He said that “It was really surprising. The ant was able to sense a very large number of [chemicals]”. In fact, ants’ can even tell the difference between two (2) molecules that have the same chemical formula and only differed “ever so slightly”. That’s how refined their sense of smell truly is. Ray also made a comparison that’s easy to understand. He informed that the ants’ ability to identify their fellow nest-mates by their aroma is not unlike a sommelier who only needs to smell a glass of wine in order to know whether it’s a Chardonnay or a Pinot Noir. What’s more, the research team noticed that the ants were especially good at sensing nonvolatile chemicals. This is uncommon because of how notoriously hard these chemicals are to smell. They don’t evaporate easily, and they waft through the air like perfumes do. Ray theorized that this is most likely an evolutionary trait. He tried to explain the ants’ remarkable achievement by asking people to imagine that they have to constantly get into an elevator with a bunch of people, and the only way of recognizing who they’re interacting with is through their sense of smell. If everyone was wearing their own strong perfume, the task would be pretty much impossible to complete. So what the ants have done is figure out “a way to smell the very low-volatility compounds”. This allows them to only smell the “person” closest to them in the elevator. The study was published a few days ago, in the journal Cell Reports. Denise would describe herself as one more of an experience witness than a journalist. Soon after graduating, Denise worked as a journalist during the presidential campaign of Senior US Senator John McCain. Since then, much has changed, and Denise found herself gravitating towards world news.